Singaporeans turning 55 between July 1 this year and June 30 next year will need to set aside a higher minimum sum of $155,000 in their Central Provident Fund (CPF) accounts. The latest hike, announced on Thursday, will not apply to Singaporeans who turn 55 before July 1. The minimum sum for those who turned or will turn 55 between July 1 last year and June 30 this year will remain at $148,000. 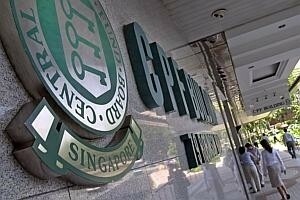 Singaporeans who will turn 55 after June 30 next year are likely to be subject to further increases in the minimum sum, which is a mandatory amount of savings that Singaporeans must leave in their CPF accounts so they can receive a regular income in their retirement years. The minimum sum was set at $80,000 in 2003 and has been raised every year since, to keep up with inflation and higher living standards. The aim is to reach $120,000, in 2003 dollars, in 2015. Increases were meant to end in 2013 but due to high inflation in 2012, the Government decided that year to spread out the remaining hikes until 2015. We recap the changes in the minimum sum over the years.